From the moment you land at the airstrip in Lukla to the moment you depart, you will be surrounded by some of the most incredible mountain scenery in the world. But it is not the remarkable sights alone that keep people coming back to Nepal, it is the kindness and hospitality of the people, the colorful mix of cultures and the relaxed pace of like in Everest’s Khumbu region. Without the presence of cars or mechanized transport of any kind, life moves at a walking pace in the Khumbu. 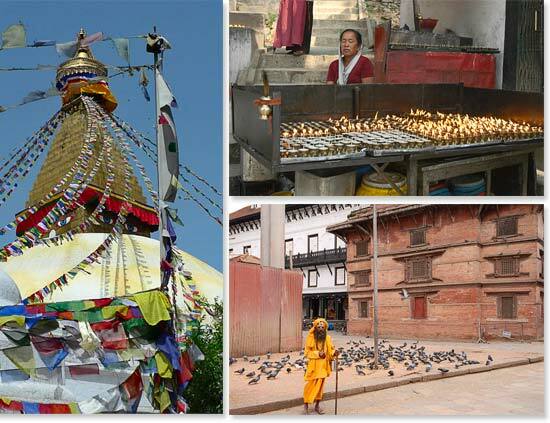 The monasteries you will encounter along the way were thriving long before trekkers and climbers arrived. The Khumbu is a historically and spiritually significant place which has been welcoming traders and pilgrims traveling between India and Tibet for centuries. Today the region sees pilgrims of a different variety – the pilgrims in search of mountains and mountain cultures embarking on the adventure of a lifetime. 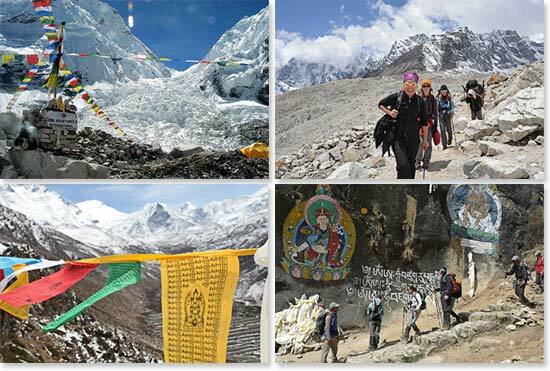 The trek to Everest Base Camp ranks as one of the greatest mountain walks in the world. You will find yourself surrounded by grand Himalayan giants whose beauty will forever be ingrained in your memory. Your first glimpse of Everest is a moment you will never forget. Learn more about what life is like at Everest Base Camp. Sign-up today for your Himalayan adventure and trek with Berg Adventures! To trek to Everest Base Camp you need to be in excellent physical condition, but no climbing or mountaineering experience is necessary. Our goal is to climb Kala Patar at 18,600ft/5,670m and to walk on the broken glacial moraine all the way to Base Camp at 17,500ft/5,333m. You will spend 16 days in a land where life is simple, trails are steep and the air is thin. Begin training today to make the most of your adventure! View our previous Everest Basecamp dispatches.